It is been more than a month that the biggest change has happened in India called ‘Demonetisation’. People across the nation are yet to recover the problems and issues they have been facing while withdrawing cash. 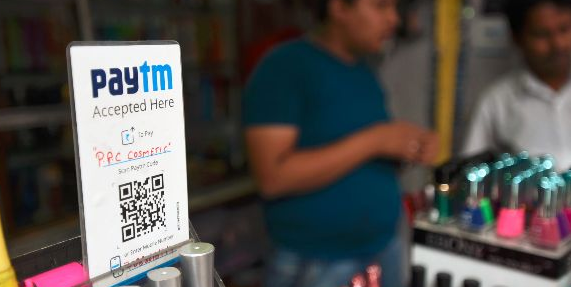 The central government along with National Institute for Transforming India Aayog aka NITI Aayog, has declared today that customers and merchants will get rewarded up to 1 Cr if they opt for cashless transactions more. This decision was made to encourage the digital transaction more, especially in rural areas. Under the customers will be benefitted. More a customer will swipe a debit or credit card or any other digital mode of payments like internet banking or e-wallet, more that particular customer gets chance to win minimum Rs. 1000/- per day or Rs. 1 Lakh per week. The scheme will start implementing from this Christmas and It will end on 14th April 2017. On the last day of the scheme the mega winner;s name will be announced. The prize money for the mega winner will be Rs. 1 Cr. Between this period customers can transact as much as money through digital transactions. All these will be counted and recorded under NITI Aayog to track the record of the transactions. National Payment Corporation of India (NPCI) will be the main channel through which the scheme will be implemented across the nation. Digi Dhan Vyapar Yojana is for the merchants of the nation. Those who still don’t have POS or Point of Scale machines for cashless transaction will not be eligible for the lucky draw. To be the part of this scheme all the merchants (small or big) are needed to install POS machines and opt for cashless transactions. Through these POS machines will record the location and the transactions. Under DDVY the merchants will be able to win Rs. 50, 000/- every week . There will be a mega award for the merchants as well. That will be announced on 14th April 2017 along with the winner of LGY. Budget for the scheme Rs. 340 Cr. Limit of transaction From Rs. 50/- and Rs. 3000/- as low as transactions to encourage backward sections as well. Government records suggest that the respective authority has reached out to as many as 16 lakh prime winners. This scheme is no longer active now. The government has taken the decision to deactivate this project in 2017 itself. To offer rewards to so many candidates, the authority had to shell out as much as Rs. 258 crore from government coffers.